The Engineer & Design Innovation Show - TMB Patterns - Manufacturers of high quality tooling for the food packaging industry. 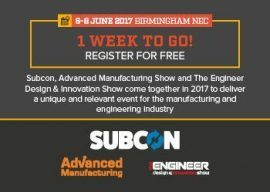 Wednesday 31st May 2017 – We will be exhibiting at the The Engineer & Design Innovation Show between 6th and 8th June 2017. If you are interested in visiting our stand as a VIP guest, please use the link below to request a badge.